Useful tips and tricks for the Avid Media Composer. 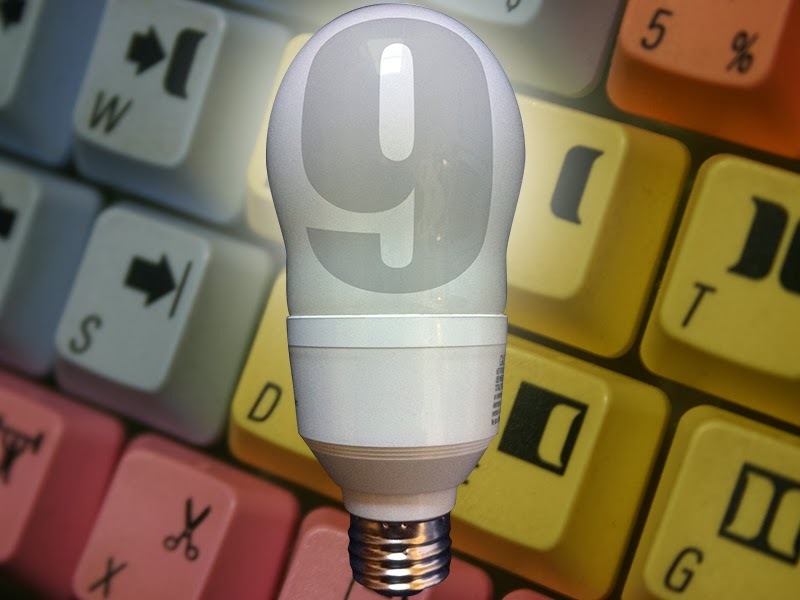 Today's blog is the ninth edition of the Avid Editing Tips and Tricks series. This collection includes a couple that I recently learned from the Avid community. As always, if you have any comments or suggestions, you can reach me through the comments of this blog, through Google+, LinkedIn or Twitter, using the @mBlazeVideo handle. Again, keep in mind that I work on an Avid Media Composer on the Mac. If you are using Windows, the COMMAND key on the Mac does what the CTRL key does on Windows and the OPTION key on Mac is the same as the ALT key on Windows. AutoNotch an Imported Quicktime - This first tip is from a former Avid colleague of mine, Jeff Krebs. Jeff came up with a great trick to automatically add edits to an imported video that correspond with where the original source edits were made. This trick requires that you have the original sequence as either AAF or an EDL. The first thing you do is import the AFF, open the sequence in your edit monitor and DELETE all of its associated master clips from the bin. Import your Quicktime movie of the finished edit and cut that onto an empty track above the sequence. Avid Pan and Scan Effect. Apply the PAN AND SCAN effect, from the REFORMAT group of effects, to the Quicktime movie on the top track. 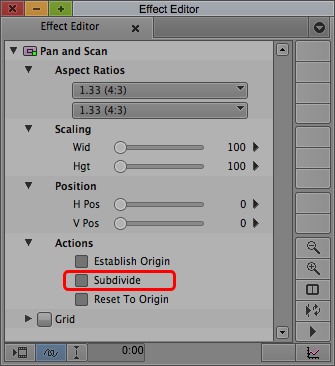 Go into the Effect Editor for the PAN AND SCAN, make sure all tracks are selected that you would like to match the cuts from and then click the SUBDIVIDE button in the Effect Editor. Edits will be added to your Quicktime clip that match all of the cuts for the tracks you had selected. To get rid of the (now unneeded) PAN AND SCAN effects, go to the head of your sequence with the top track highlighted, click the SELECT RIGHT button, then hit DELETE. This will will clear all of the effects and leave your track with all of its new edits. Below is the video tutorial Jeff posted on YouTube. 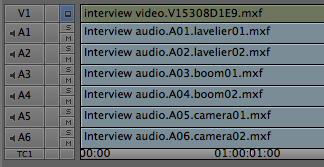 Showing Names of Multitrack Audio Clips in the Timeline - This is another one I can't take credit for. This comes from Telegram! on the Avid Community Forums. This trick allows an editor to keep track of what each track of a multitrack audio file represents. Doing so involves renaming the MXF files in your Avid MediaFiles folder using a more descriptive name than the cryptic filename that Avid uses. Once you have renamed the individual audio track media files, choose MEDIA FILE NAMES under the CLIP TEXT selection of the TIMELINE menu, to show them in your sequence. Toggle Sync Lock on all Tracks - Have a sequence with a lot of tracks and you're tired of clicking the individual SYNC LOCK buttons for every track? The quickest way to turn SYNC LOCK on or off for all tracks is to click on the SYNC LOCK button in the TIMECODE track of your sequence TIMELINE.